We stand behind our services and our friends do too. 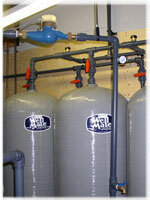 We ensure that every company we work with offers exceptional products and services for all your water problems. These companies have demonstrated that they stand behind their services and products that they provide to us and our customers.